Powered by Cat6 cellular modem, the UK outdoor router provides 300Mbps fast speed internet over 4G LTE-A cellular networks. 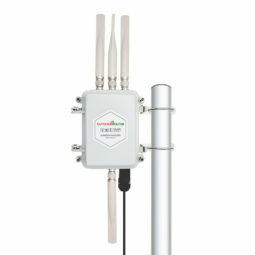 Integrated MIMO technology for both 4G and Wi-Fi, also support LAN Ethernet and Wi-Fi relay. Designed for use in remote areas. • Cat 6 LTE-A modem – Support major UK mobile carriers. • 2T2R MIMO Wi-Fi with 25~27dBm booster. Covers 150~300 yards radius. • PoE power over Ethernet over 300-feet. Included 48Volt PoE. • Free Shipping. Guarantee 30-day money back. 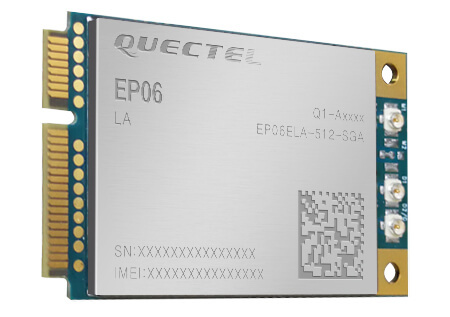 The UK 4G Outdoor MIMO Router uses Quectel EP06-E mobile broadband modem which takes 2pcs 4G antennas and delivers 300Mbps downlink and 50Mbps uplink data rates. The LTE-A Cat6 broadband mobile modem is designed to use in the UK and also support roaming in Europe, Africa, and Asia. The cellular modem supports major mobile carriers in the UK, such as EE, O2, Three, Vodafone, Tesco, Virgin, GiffGaff and so on. Besides 4G FDD-LTE and 4G TDD-LTE, it also supports 3G WCDMA mobile networks. 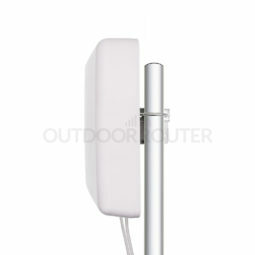 Integrated with 25~27dBm Wi-Fi booster, the UK 4G Outdoor MIMO Router covers up to 150~300 yards radius in open area. Powered by PoE (power over Ethernet), you only need one LAN cable for both power and data. Supports 802.3af/at PoE standards, you can power up the outdoor router with 48Volt PoE switches over as long as 100-yard LAN cable. 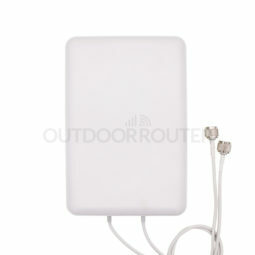 Outdoor 4G MIMO router is one of the open source devices. Original OpenWrt v18.05 firmware inside along with powerful tools. Overview the OpenWrt firmware for 4G router in the demo video.